Equity assets of mutual funds have risen from Rs 1.52 trillion in November 2013 to Rs 7.44 trillion five years later. Despite all the new highs during the interim period, mutual funds’ (MFs’) equity assets are at only 4 per cent of gross domestic product. The global figure is 35 per cent, according to figures compiled by HDFC securities. Developed countries such as Canada and the US are in excess of 40 per cent and 60 per cent, respectively. “With a total penetration level of just 11 per cent (equity 4 per cent, debt 7 per cent), we believe India’s MF industry remains under-penetrated. We expect financialisation of savings to grow at 9.7 per cent compound annual growth rate over FY18-30E," said the December 31 ‘Asset Management Companies’ report authored by HDFC securities analysts Madhukar Ladha and Keshav Binani. Experts point out that pension and insurance money account for a significant portion of assets under management (AUMs) in developed markets. This is not as much the case in India. Here only a small portion of pension money is allocated to equity. Insurance companies manage their own schemes. 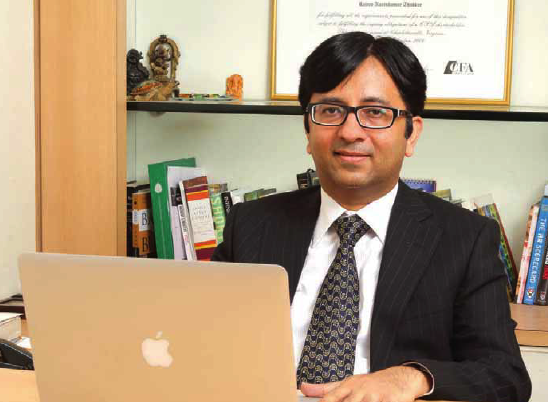 Rajeev Thakkar, director at Parag Parikh Financial Advisory Services, said low equity assets are also a function of the fact that Indians don’t have the same depth and variety of companies available in the listed space as developed markets. The American investor can put his money into companies he comes into contact with every day, like the fast-food chain McDonald’s. Popular consumer brands remain unlisted here, as are major players like the largest insurance company (Life Insurance Corporation of India). The American listed space even includes defence players. “If a lot of companies are in the unlisted space, small business space or nationalised space, then the participation would be lower," Thakkar said. The overall penetration of MFs (debt and equity) is 11 per cent. This is lower than some other developing countries like Brazil (59 per cent) and South Africa (49 per cent). Alok Singh, chief investment officer at BOI AXA Investment Managers, suggested that more people becoming a part of the workforce, especially within the same household, can contribute towards the generation of excess capital after meeting basic needs. This money is likely to find its way into financial savings instruments as people become more comfortable moving away from traditional savings routes like gold. “The biggest trigger for any investment is the generation of surplus," Singh said. Sundeep Sikka, executive director and chief executive officer, Reliance Nippon Life Asset Management, said there has been a spread of equity culture in recent years. Investments are coming in from smaller towns and cities. He believes equity has to come up as a significant portion of savings because of the lack of a government safety net. Developed countries offer social security to the aged. Here individuals have to largely secure their own future. The required savings can only come in through higher return products like equities, according to Sikka. The fact that MFs’ equity assets have risen despite local challenges is a positive sign, according to Sikka. “That clearly shows…the direction we are heading in," said Sikka. Equity funds (including arbitrage funds) account for 31 per cent of the AUMs. Debt funds account for a majority of assets. Within debt, the major sub-segments include income funds, which account for 29 per cent of total MF assets. Liquid or money market funds account for another 25 per cent.